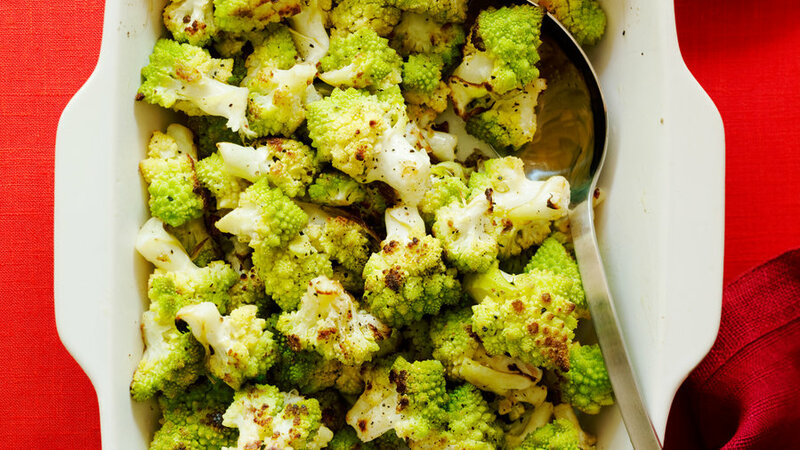 Like a cross between broccoli and cauliflower, Romanesco broccoli also delivers similar benefits, so dig in. 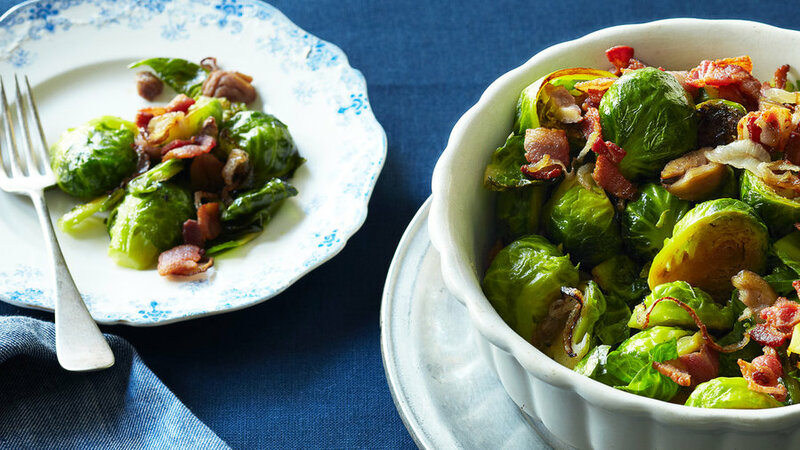 Prosciutto provides the smoky flavor of bacon with a lot less fat. 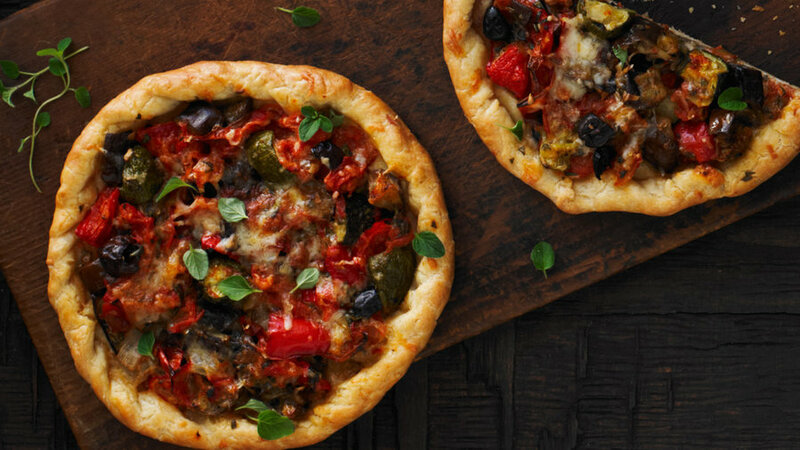 Classic ratatouille, typically a side dish, comes front and center as the filling of these inventive tarts. 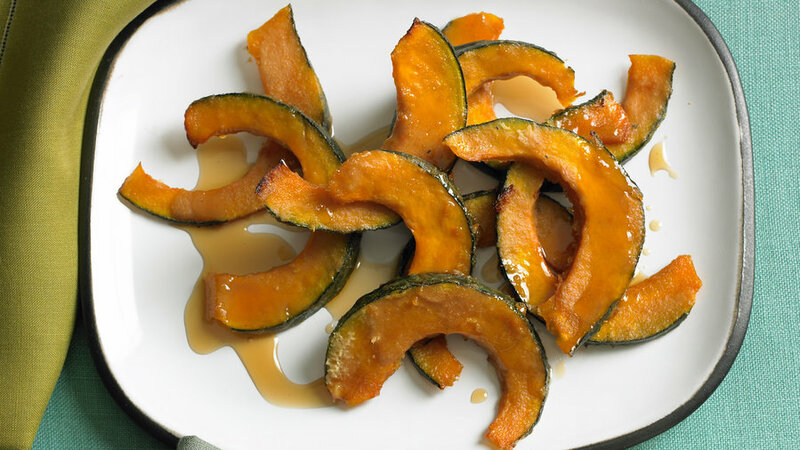 Think of these roasted cut butternut squash rounds as tiny pizzas: You bake them and add any topping you like. They tend to go fast at parties. 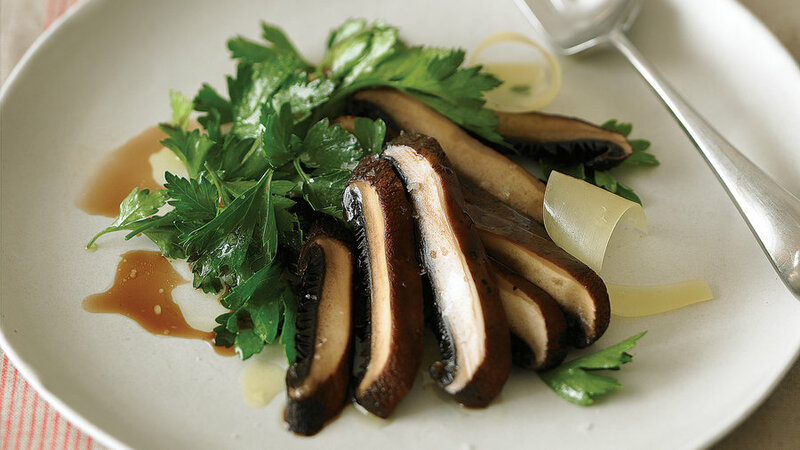 The balsamic vinegar brings a lot to this dish, so use a good-quality one, if possible. The small investment is worth it--a few drops go a long way. 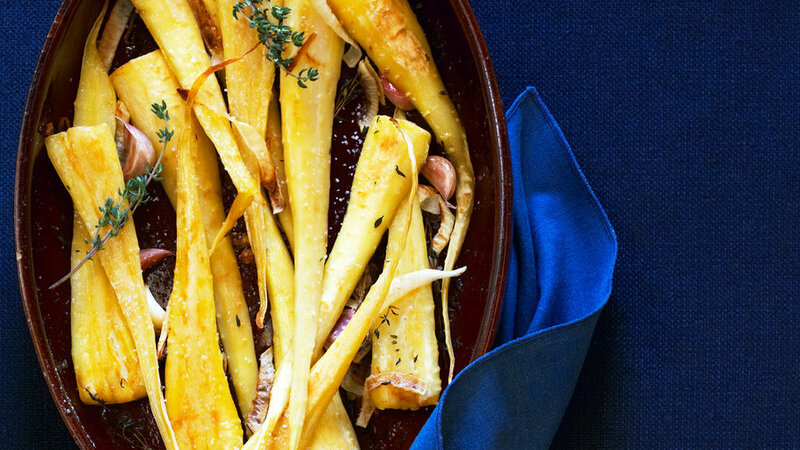 Though mildly sweet like their carrot cousins, parsnips are starchy, like potatoes. 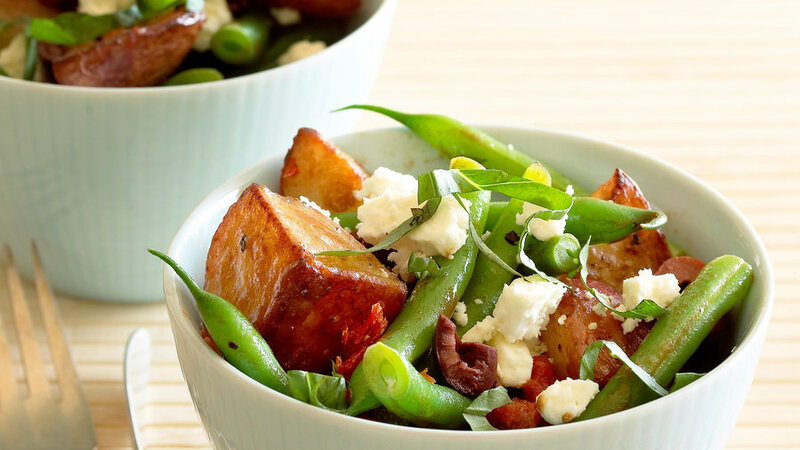 Subbing them for spuds, as in this recipe, is a good way to expand your winter repertoire. 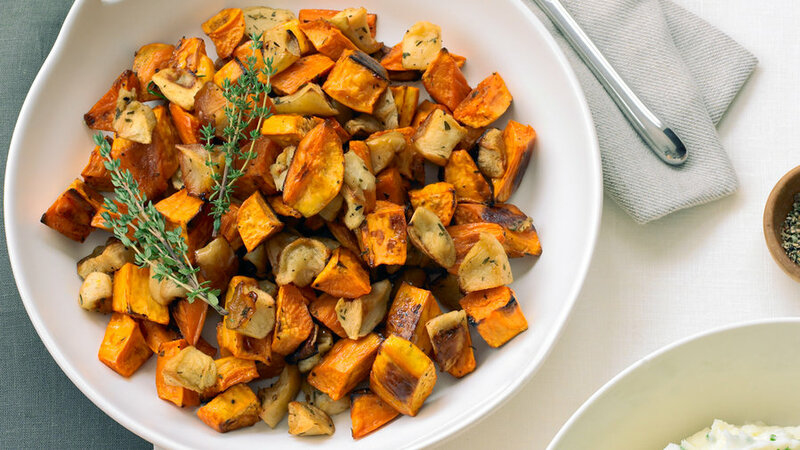 This sweet potato dish strikes a perfect balance between sweet, tart, and savory. 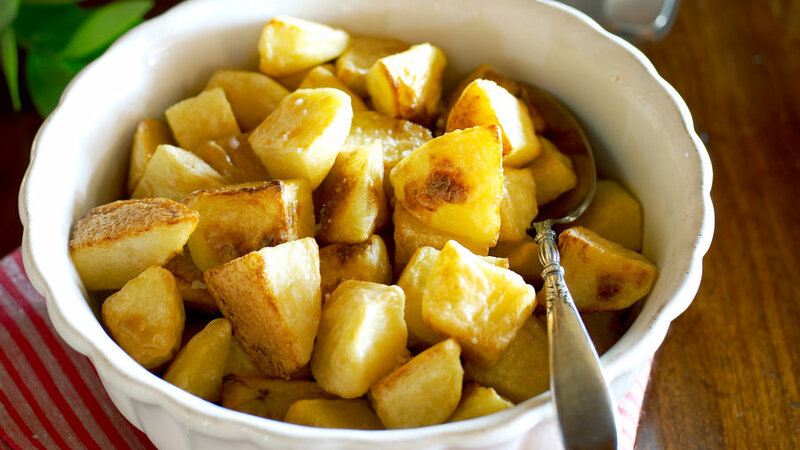 Rather than adding marshmallows for sweetness, we used apples and maple syrup. 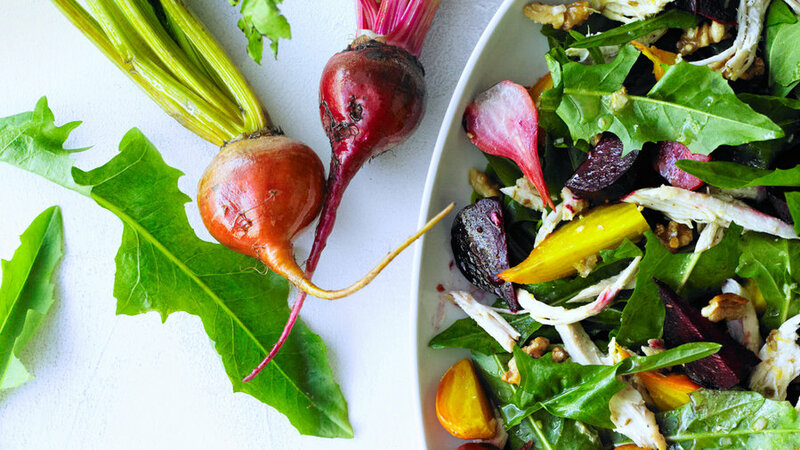 Dandelion greens give a bright, appealingly bitter edge to the rich chicken and the sweet beets. 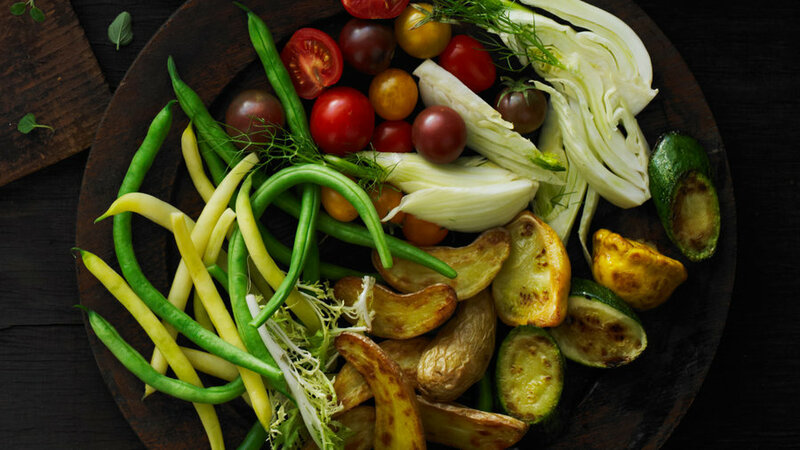 You can make this dish with regular green beans, but long beans look more handsome. 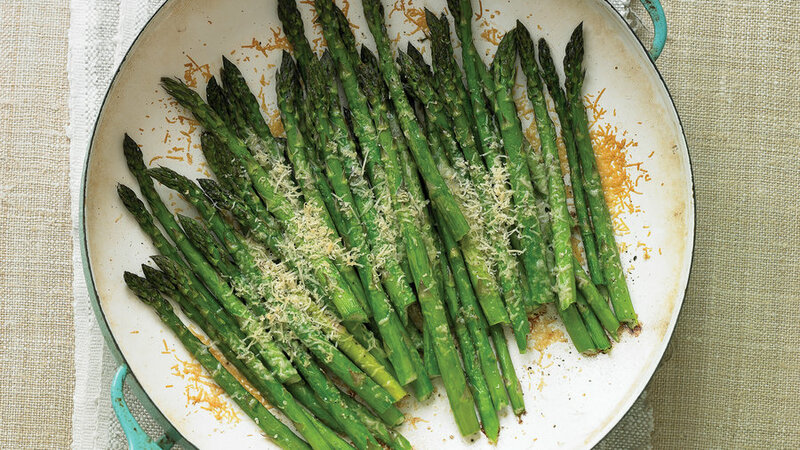 Here’s a quick way to cook asparagus with flavorful results. 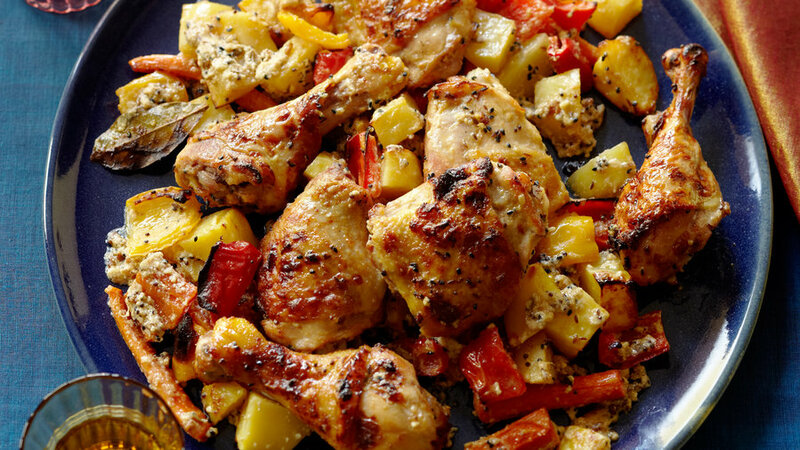 If you’re making roast chicken, you can throw this in the oven in the last 20 minutes and have both ready at the same time. 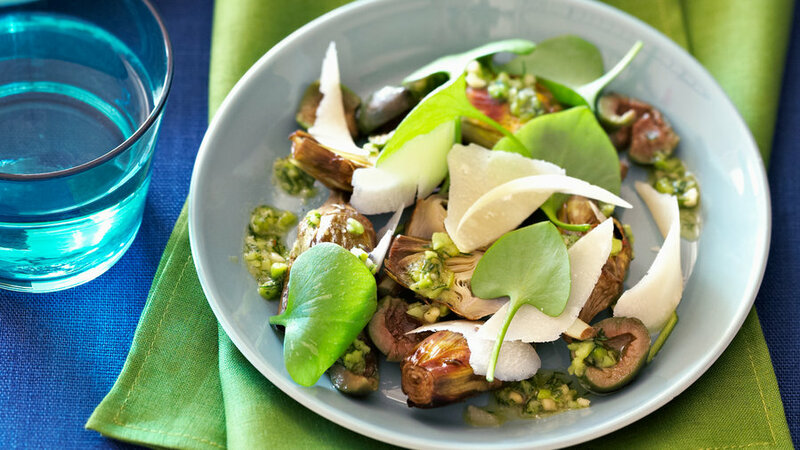 The crunchy toasted nuts, stir-fried favas, and curls of parmesan cheese add layers of richness to this dish. 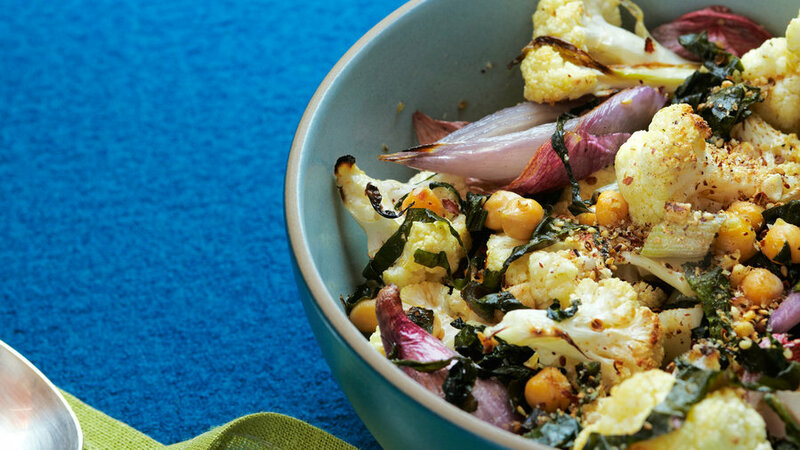 Instead of baking cauliflower in a classic cream sauce, we’ve sliced it thinly and roasted it (with very little fat) to get a nicely toasted flavor–and keep it just shy of 40 calories per serving. Choose red bell peppers with glossy skin, deep color, and firm, thick walls. 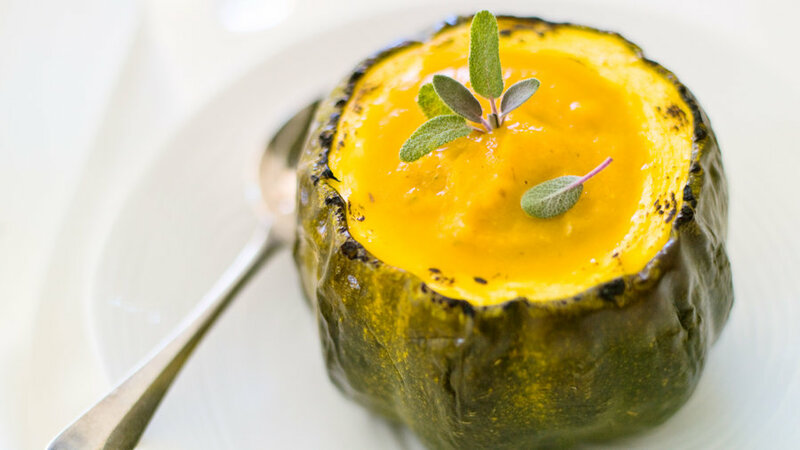 Roasting the peppers makes this soup sweet, smoky, and irresistible. 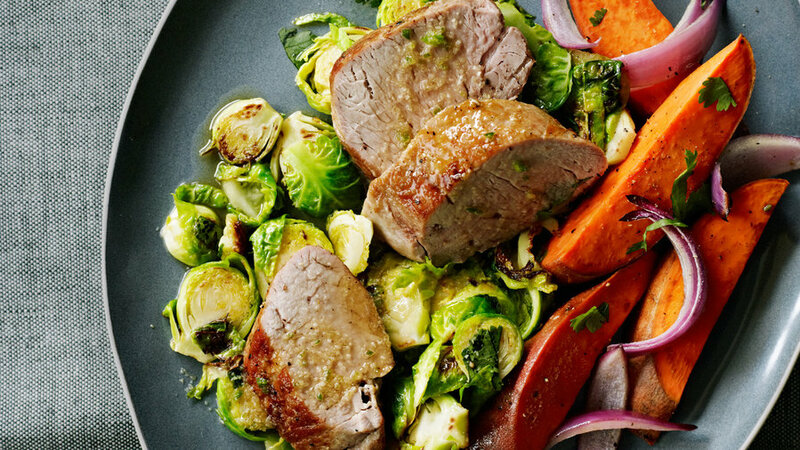 Give a healthy, classic meat-and-vegetable combo an unexpected Southeast Asian flavor twist. 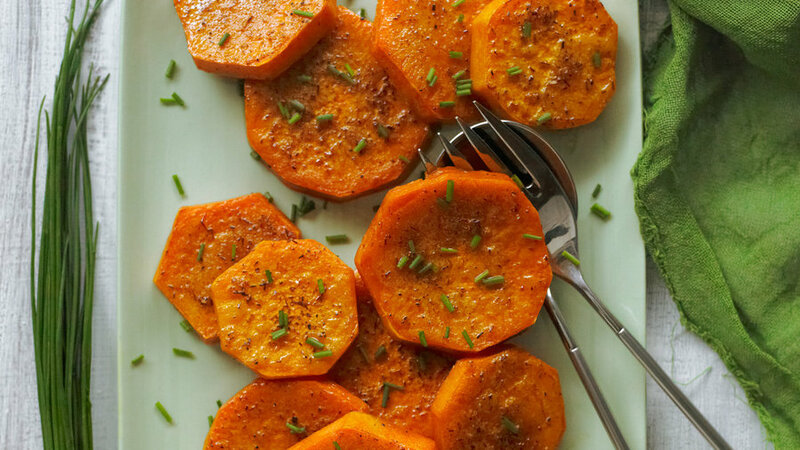 Roasting beets in an aromatic salt crust infuses the kitchen and the beets with the fragrance of flowers and herbs. 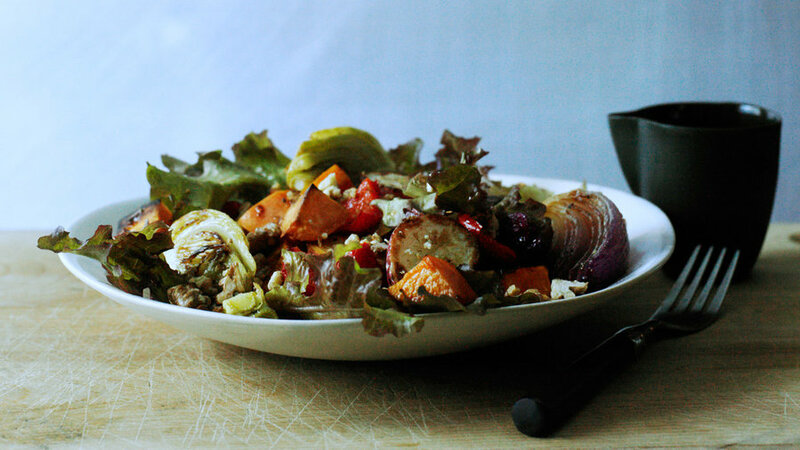 We've highlighted them in this simple salad. 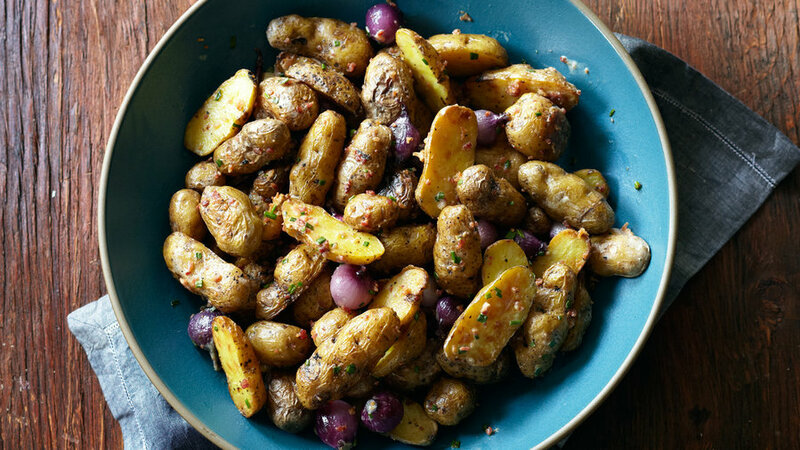 Nothing more than good olive oil and crunchy sea salt turn super-simple potatoes into an irresistible side dish. 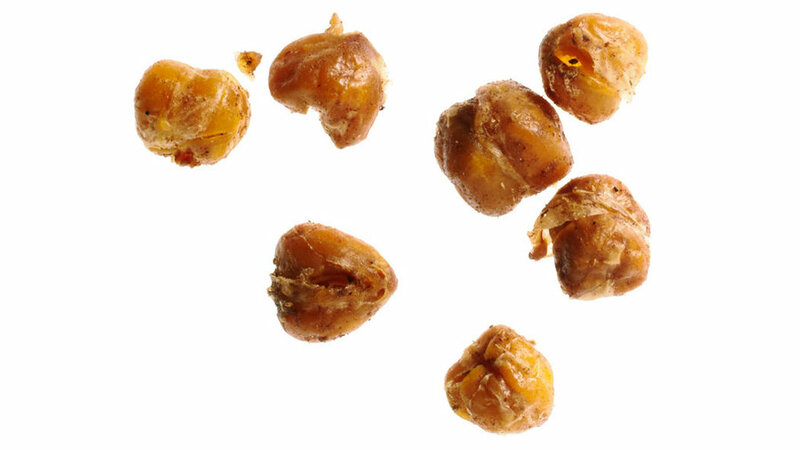 Roasted in a very hot oven, the sauce reduces until the panch phoron seeds cling to the chicken and vegetables in chewy nubbins. 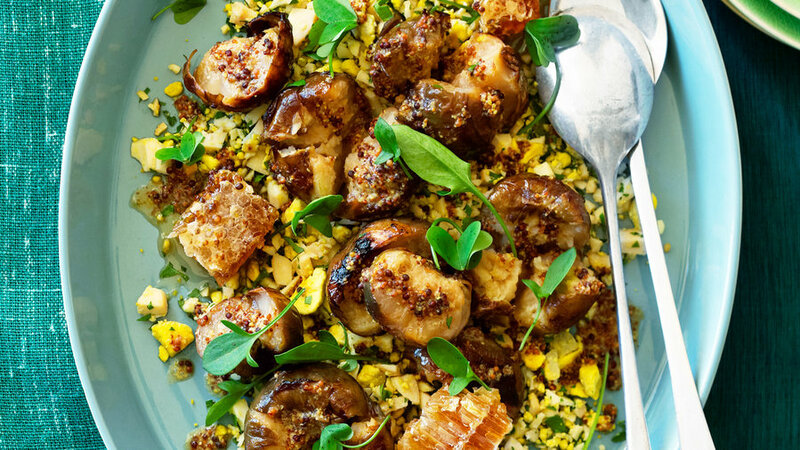 The secret ingredient in this dish, inspired by one served by chef Matthew Dillon at the Corson Building in Seattle, is an easy-to-make Egyptian nut-and-spice blend called dukkah. 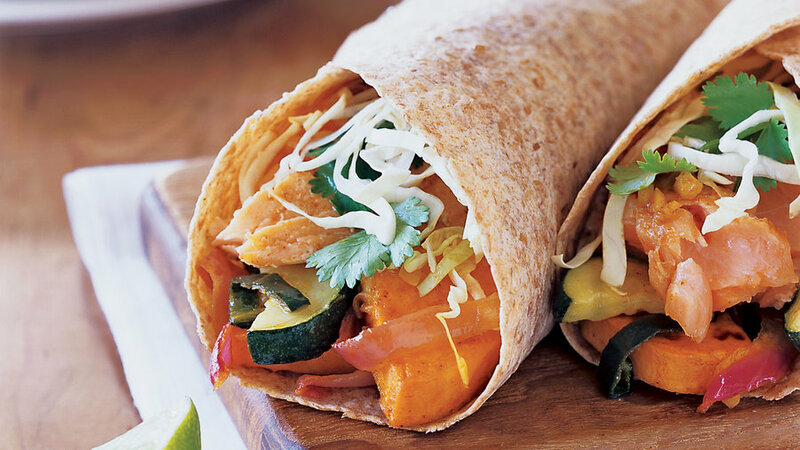 Add protein-rich chickpeas for a more filling version. Slow-roasted eggs and kohlrabi with sweet honey and pungent mustard makes an unusual combination that's an absolute flavor sensation. 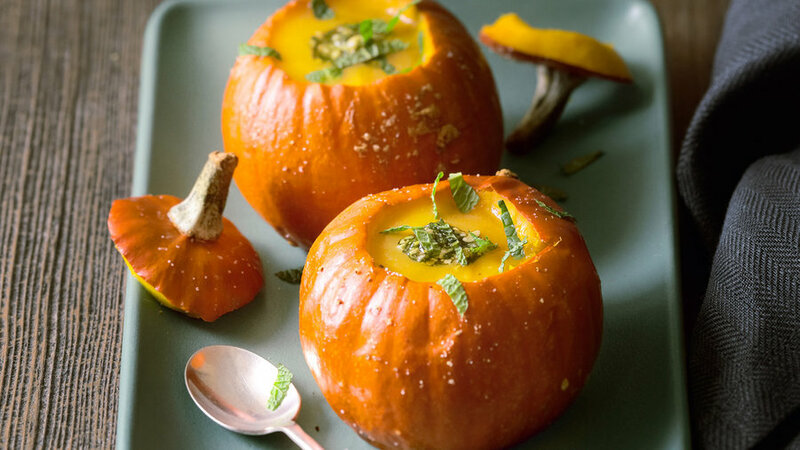 These adorable, edible bowls are the perfect autumn vessel for soup, risotto, or a whole-grain side. Each bowl holds about a 1/2 cup. 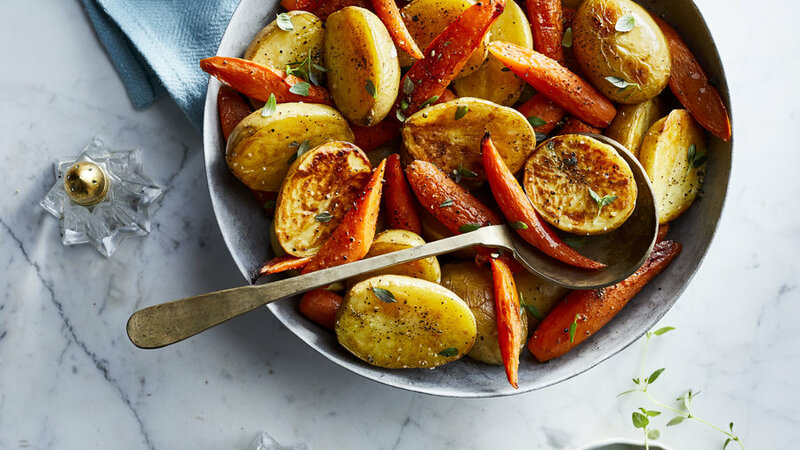 A touch of honey in the dressing brings out the roasted vegetables’ natural sweetness, and their meaty texture satisfies even the carnivores at the table. 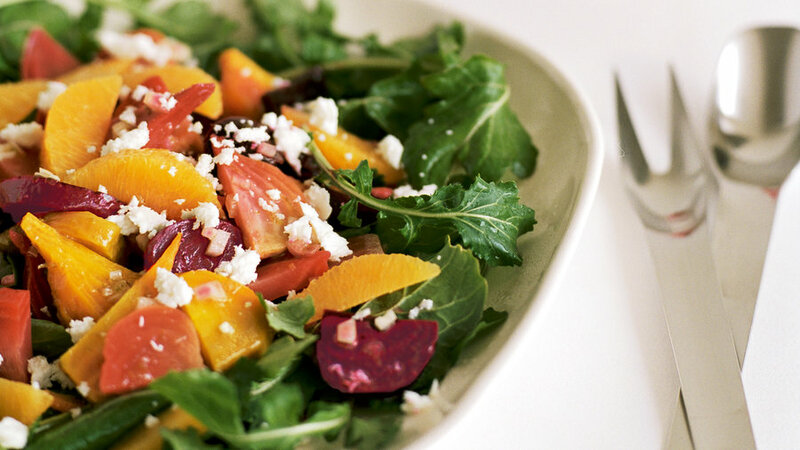 For an extra layer of flavor, serve the salad with shaved parmesan or asiago cheese. 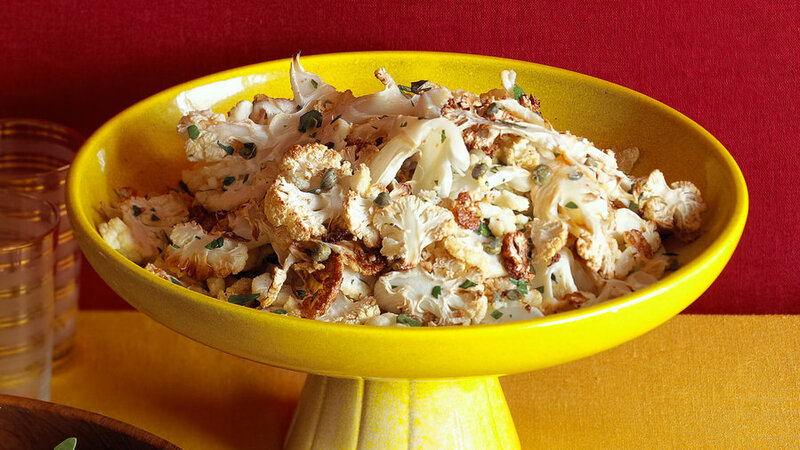 This Mediterranean-inspired side dish is a surefire crowd-pleaser at a BBQ or potluck. 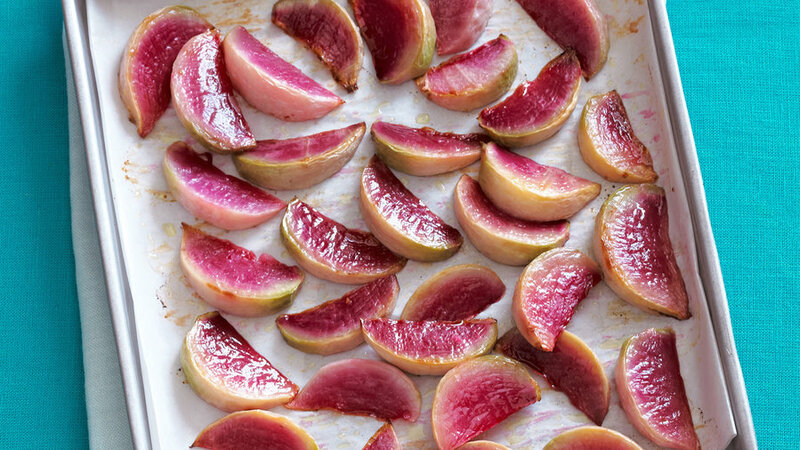 Roasting radishes gives them a smooth texture and sweet, earthy flavor similar to that of roasted turnips. 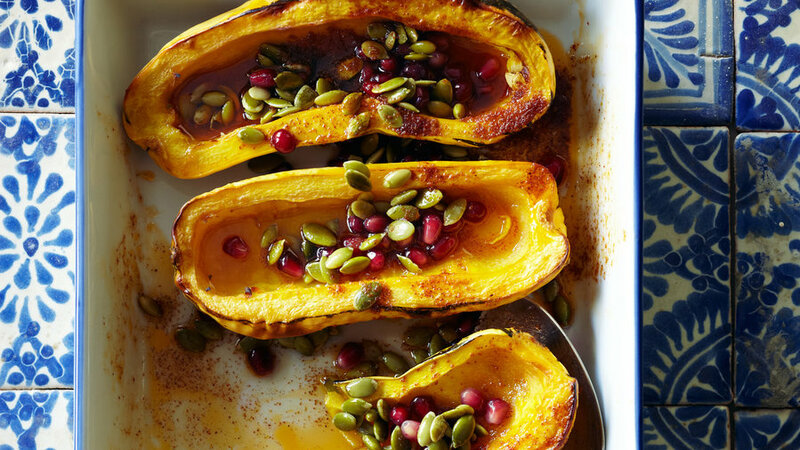 Turn squash into a sort of Moroccan tagine for fall vegetables. 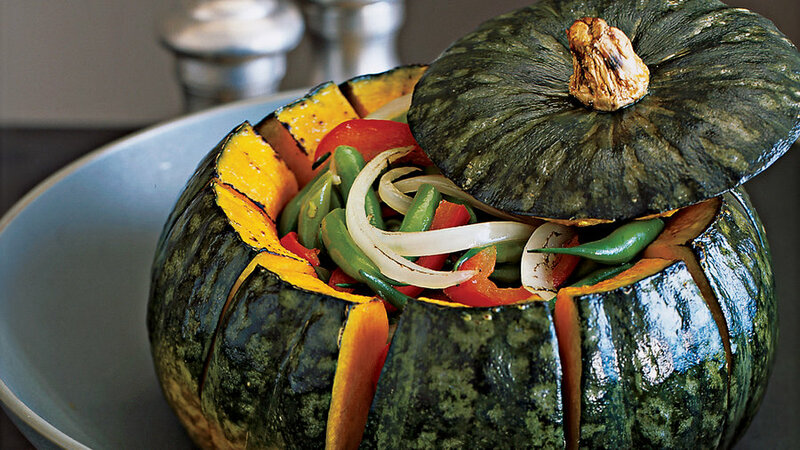 The medley would also make a good vegetarian main course. 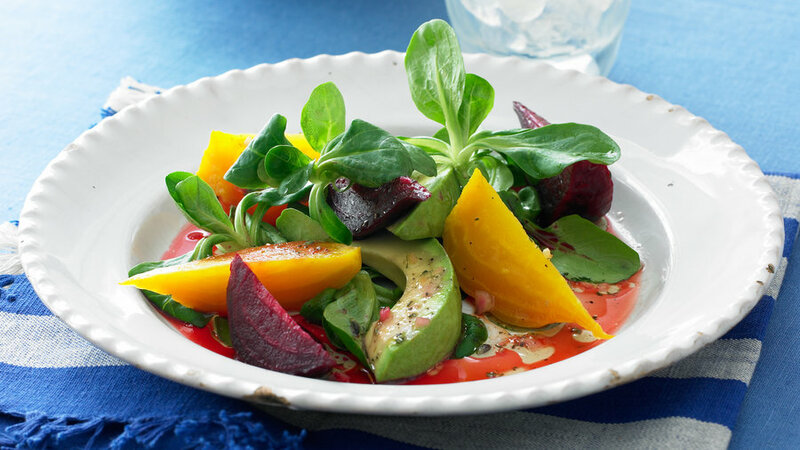 This beet salad is full of bright colors and flavors, with sweet beets playing off tangy lime and orange. 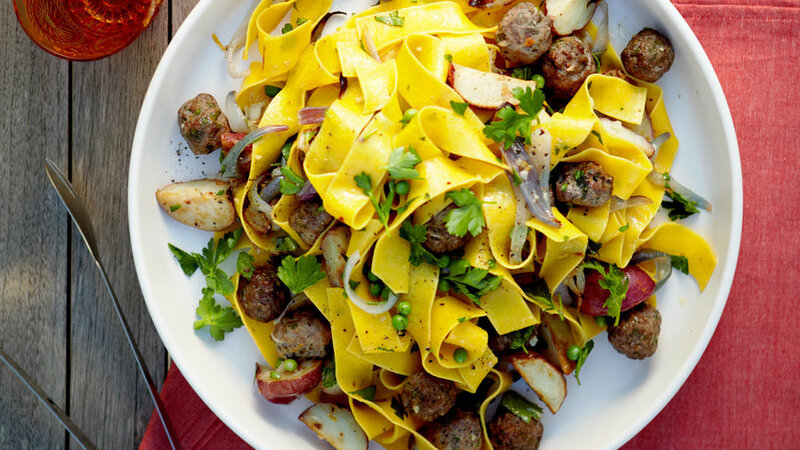 This hearty dish makes for a perfect cool-season meal. Lacinato kale (often sold as "dinosaur kale" or "Tuscan kale") is a little crisper when roasted than ordinary kale, and its shape looks prettier on the plate. Flavor-wise, though, regular kale would be just fine to use. 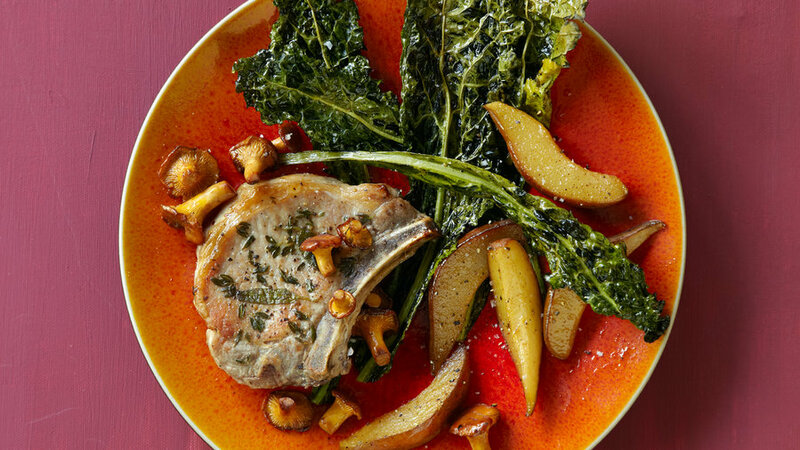 Serve the kale on its own as a snack, or as part of a composed plate with pork chops and spiced pears for a great autumn meal.